Childhood health and well being are linked to the success they have in school. School children, who have access to clean drinking water and have adequate sanitation, increase their ability to learn as their health is not compromised by the devastating effects of water borne diseases. Good health is as essential to education as are text books. This project will provide clean water, sanitation, and hygiene education for Escuela Jose Trinidad located in Trojes, Honduras. It will have a direct impact on an estimated 20 school-aged children and their families. 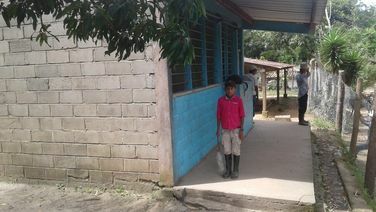 For years to come, the new students will have safe water to drink, a latrine to use, and hygiene lessons to learn. For students leaving school, the lessons they learned will carry with them through life. This school will be provided with a complete package of clean water, sanitation, hygiene education, teacher training and additional trainings that will cover hand washing, protecting water sources, menstrual hygiene, and personal hygiene. Childhood health and well being are linked to the success they have in school. School children, who have access to clean drinking water and have adequate sanitation, increase their ability to learn as their health is not compromised by the devastating effects of water borne diseases. Good health is as essential to education as are text books. This project will provide clean water, sanitation, and hygiene education for Escuela Las Mieles located in Trojes, Honduras. 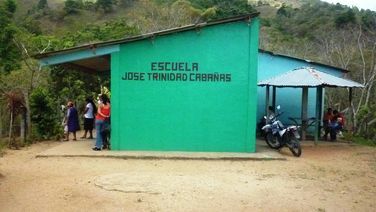 This school is located in the rural Trojes communities of Las Mieles. It will have a direct impact on an estimated 16 school-aged children and their families. For years to come, the new students will have safe water to drink, a latrine to use, and hygiene lessons to learn. For students leaving schools, the lessons they learned will carry with them through life. This school will be provided with a complete package of clean water, sanitation, hygiene education, teacher training and additional trainings that will cover hand washing, protecting water sources, menstrual hygiene, and personal hygiene.